How To Spice Up Office Party With Corporate Party Planners! There is nothing worse than a dead office party! There would be no incentive for employees to attend these boring corporate affairs, if they are only going to see the same faces they see day-in and day-out (albeit in a slightly more exotic location) and talk shop! So, it is imperative that you find ways to make office parties interesting and fun! How Corporate Party Planners Can Help Spice Up an Office Party! The success of any corporate event is solely dependent on the kind of entertainment provided. The best way to go about that is to hire professional corporate party planners. Based on your input, they can set up the entire event without any hassle for you. They have the contacts and the resources to take care of all the background work and make sure your office party is a grand success, while you mingle and make personal connections with your employees! What Kind of Entertainment Will Work Best for Events in Corporate Companies? 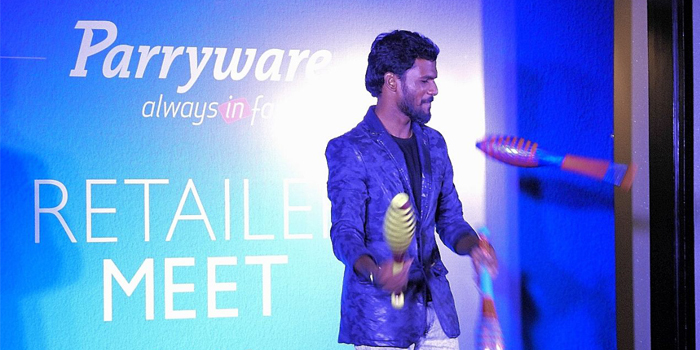 Before you go looking for the corporate event organisers in Chennai, you need to find out what is the kind of entertainment that your employees will enjoy the most, since you know them best. A corporate company is made up of very different people with many different preferences and interests. But try and arrive at an entertainment option that will work for most of them. Music is something that most folks will enjoy. So, a live band and a dance floor are a sure-fire way to get people going. Stand Up comedy is gaining a lot of popularity these days. Humour is always a universal favourite and will definitely help break the ice and loosen up folks. But make sure you hire someone who is most suited for the sensibilities of your team. A themed corporate party works like magic in adding a healthy dash of enthusiasm to the proceedings. Be it Hawaiian Beach, Traditional South, Retro or any other theme, make sure it is incorporated into everything from decor to dress code! Work out all the details with your event planner so they can set up things accordingly. And remember to let your team know well ahead of time so they can be ready with the costumes and the excitement! Despite all of the above efforts, the party could still fall flat if the entertainment is all one sided. Choose an entertainment option that will include a lot of interaction and participation from the guests. No, we are not really talking about yet another round of Tambola! We are talking about entertainment that will get everybody into the mood of the party! Perhaps, a live band that encourages people to get out of their seats or a karaoke session to gives the audience a turn at the mic! So again, try and find out what works best for your team and go all out to give them an corporate party to remember! Excellent event management skills are in order for pulling off a successful corporate party. The partner you choose for event management should be able to use your minimal input to bring a grand vision to life! They should be able to work well with the hired entertainment and be able to set up everything they would require. They should also be savvy enough to anticipate things going wrong and have backups in place or at least be able to think on their feet to handle any crisis that might arise. Spend time working out your team’s preferences and finding a good corporate planner. After that, sit back and let the event organizers take care of making a grand success of your corporate party. No more boring office parties! PreviousIdeas for your kids birthday partyNextHow To Choose Your Wedding Venue? Tips From An Event Planner!